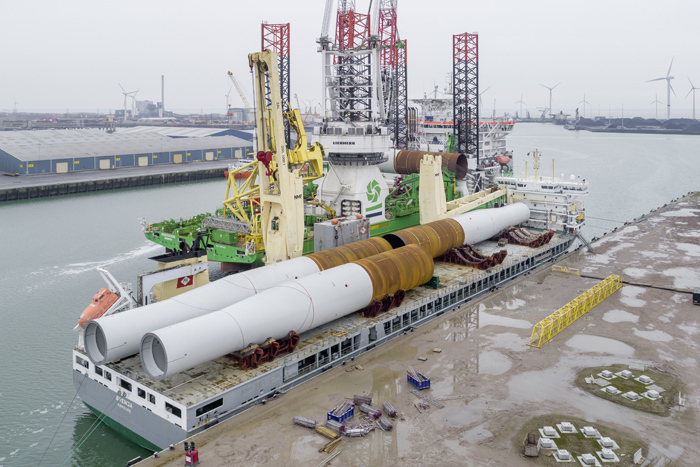 With the transport of 174 monopiles and 68 transition pieces for the Hornsea Project One offshore wind farm, one of the largest (greenfield) offshore wind farm development in the world, SAL continues the strong track record as technical heavy lift transport supplier to complex offshore wind projects. 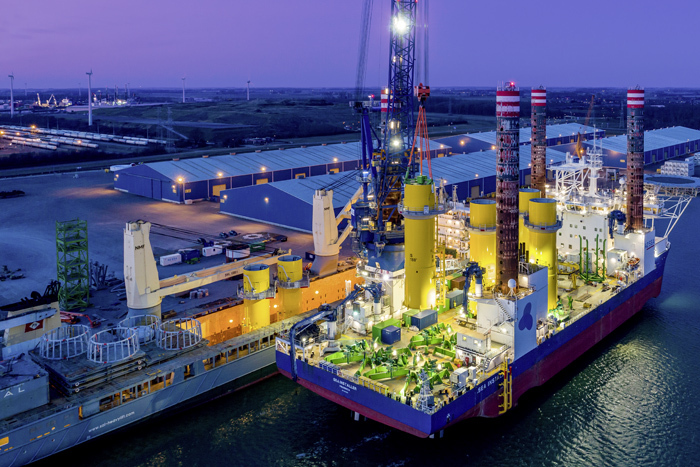 SAL’s MV Svenja transports the foundations from fabrication yards in Rostock (Germany) as well as Aalborg (Denmark) to the feeder port in Tees (United Kingdom). 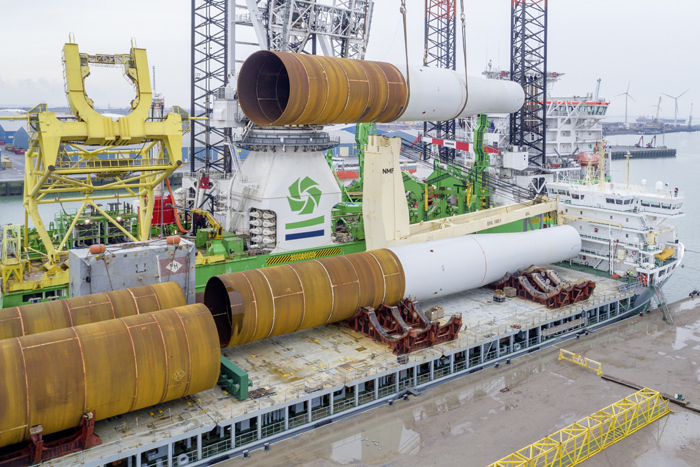 Part of the scope is also direct transshipments to GeoSeas installation vessels MV Innovation and MV Sea Installation which adds another technical element to the project execution. 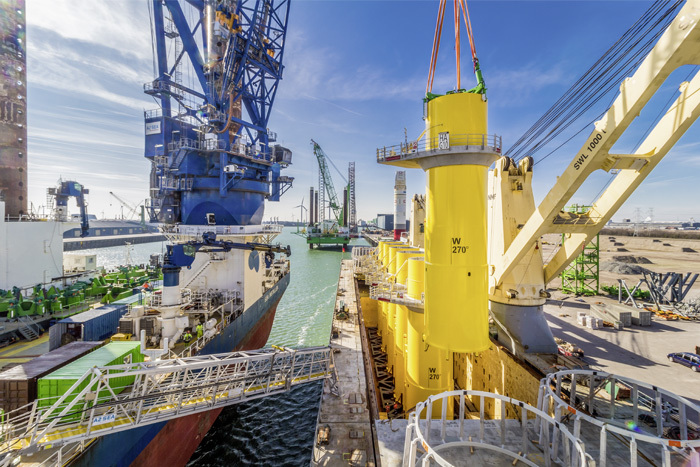 Due to the extraordinary high weight of the MPs, the SAL Engineering team developed a modified seafastening and implemented special lifting equipment from former projects. 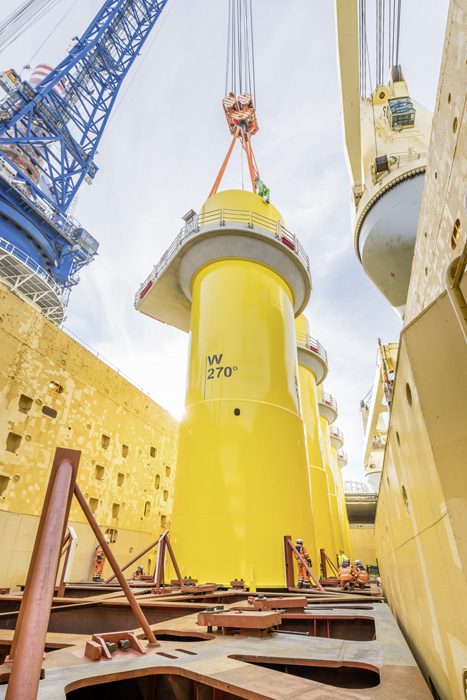 This highlights the flexibility and sustainable planning of our services to cope with the future requirements in the offshore wind market. The MPs are resting in special designed saddles while being transported horizontally. 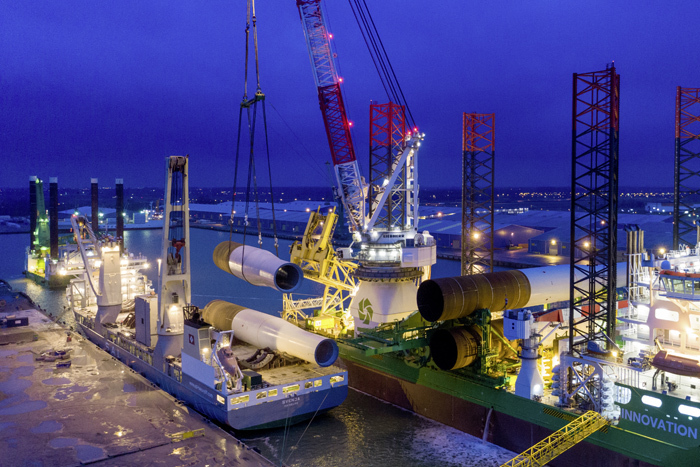 A challenge to overcome is the flow of shipments between TPs and MPs, which will change along with the installation sequence of the foundations. 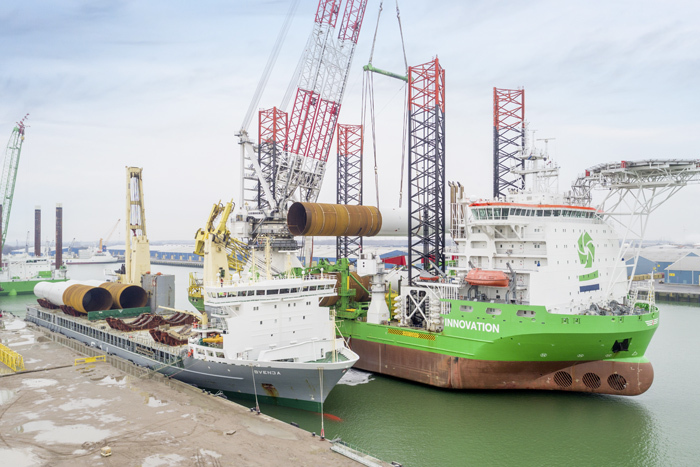 This means that MV Svenja will have to rapidly change transport setup between vertical and horizontal shipments of units. 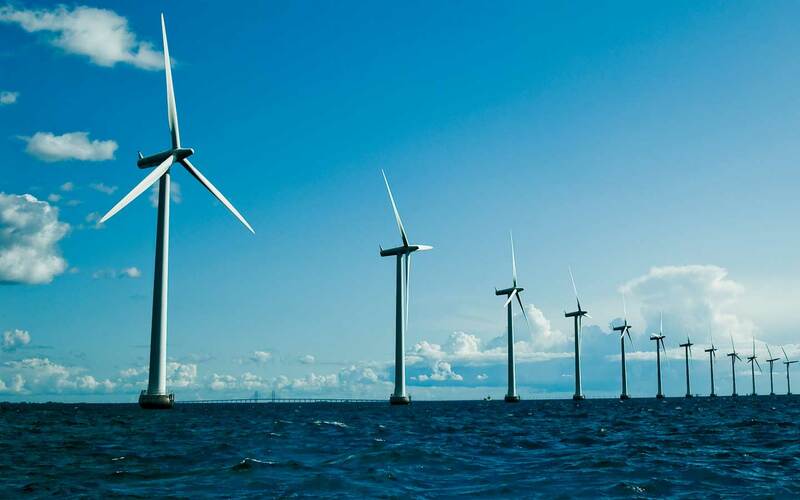 Time is essential, but SAL has already shown its capabilities for meeting such a project scope.